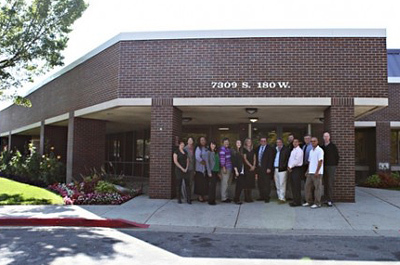 Highland Ridge Hospital is an adult inpatient substance abuse and psychiatric treatment facility located in the heart of the Salt Lake Valley in Midvale, Utah. At Highland Ridge Hospital, we specialize in compassionate and nurturing treatment of individuals who struggle with substance abuse, as well as mental health issues. Our medical professionals have helped thousands of clients achieve something very special - sobriety outcomes two times higher than the national average. For clients with co-occurring disorders, Highland Ridge treats the whole person. We bring a compassionate, experienced team of clinicians together in a fully integrated and customized treatment plan using safe, proven, reliable, evidence-based treatment protocols to begin the recovery process. Each and every day, we are guided by four very carefully chosen words - care, concern, compassion and competence.